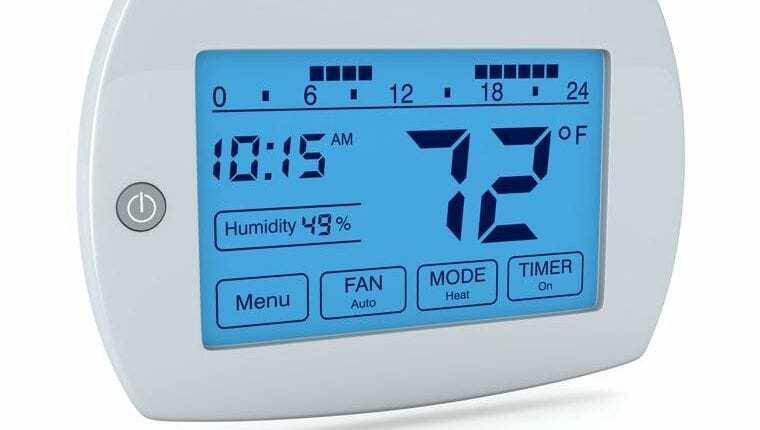 Do you know the best thermostat settings for your air conditioning and heating units? Knowing the optimal thermostat settings can help avoid HVAC problems while providing the best cost savings and energy efficiency. As the leading heating and cooling company in Granite City, IL, we offer the following suggestions for setting your thermostat. Read on for more details about thermostat settings, and don’t hesitate to call your local HVAC professional for the service you need! In addition to the temperature setting on your thermostat,you must choose between “on” or “auto.” This setting controls the fan on your HVAC system and has major efficiency implications. If you choose the automatic thermostat setting, the fan on your HVAC unit will only run when either the air conditioning or the heating cycle is running. Unless you are experiencing HVAC problems, when the temperature in your home reaches the thermostat temperature you have chosen, the heating or the air conditioning unit stops running as does the fan. However, if you choose the “on” setting, the fan continues to run even when the heating or the air conditioning unit stops. Is the “auto” setting better for the fan? 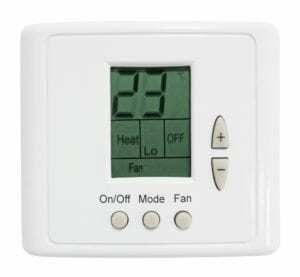 Many people believe that the “auto” setting for the thermostat is better than allowing the fan to run continuously because you save money by not running the fan when the heating or the air conditioning cycles are not running. However, there are some advantages to setting your fan to the “on” position. When your fan is continuously running, the unit can distribute the air in your home more evenly. By using the automatic setting, the fan only moves air throughout your home when the HVAC system is running. Moving air throughout your home continuously can reduce hot and cold spots because the air is distributed evenly. Another benefit of this setting is that the air inside your home is constantly being cycled through the air filter. This may help improve air quality. Furthermore, using the “auto” setting can cause unnecessary wear and tear on your heating and cooling systems. You can experience HVAC problems in the future because of the constant “starting and stopping” of the fan. On the other hand, the “on” setting may cause wear and tear caused by continued operation of the fan. The bottom line . . . your thermostat settings depend on your family’s preferences and needs. It is entirely up to you to choose the best thermostat settings for your home. It is more important to schedule routine maintenance and service with a Granite City, IL heating and cooling company to avoid HVAC problems. At B & W Heating and Cooling, we work with our clients to keep their HVAC units operating at top performance.